The reporting of zoning information has long been a point of contention between the surveying industry and parties who review the survey. The current Minimum Standard Detail Requirements clearly spell out what zoning information the client can request and what the surveyor can provide in the preparation of an ALTA/NSPS Land Title Survey. The confusion comes from the changes that have been made to the Minimum Standards over the years along with the willingness of some surveyors to report on zoning matters which are outside of the realm of their expertise not realizing that they are compromising their liability. If a client wishes for zoning information to be included on the survey, Optional Table A Item 6(a) and/or 6(b) can be requested as part of the scope of service. If 6(a) is included, it is important to note that the client is responsible for providing the surveyor with a zoning report or zoning letter that would include the current zoning classification, setback requirements, the height and floor space area restrictions and parking requirements. The surveyor would then glean this information from the report or letter and report the exacting information in a notation on the survey plat or drawing stating the date and source of the information. Similarly, if 6(b) is negotiated, the surveyor would again look to the client to provide a zoning report or letter that would state the building setback requirements. It is then the surveyor’s additional responsibility to graphically depict the building setback requirements on the survey plat or drawing. However, upon the surveyor’s review of the provided information, they may elect NOT to plot the setbacks due to the ambiguity of a definition in the zoning report or letter or due to the configuration of the property. As an example, if the provided information states that the front setback line is 50 feet and the property is on a corner, the surveyor has no way of knowing what the zoning authority recognizes as the front of the property or if both sides fronting along the street are recognized as the front. If the surveyor makes assumptions and incorrectly shows a setback line, the surveyor has attempted to interpret the zoning law or code and could be liable. What used to be a one line definition for zoning setback lines can now be several paragraphs long with qualifications of different setbacks for specific uses of the subject property or classifications or uses of adjoining properties. If the setback information is presented as such in the zoning report or letter then asking the surveyor to make a determination of the true applicable setback is asking them to present a legal opinion. In addition to Optional Table A Items 6(a) and/or 6(b), consideration needs to be given to the inclusion of the following Optional Table A Items: Item 4- gross land area, Item 7(b1)- square footage of buildings (b2) other defined areas, Item 7(c)- building height, Item 9- parking. Inclusion of these Items will assist in determining compliance with the applicable zoning requirements. It must be noted that surveyors cannot make these compliance determinations themselves as doing so would be viewed as practicing law, not surveying. 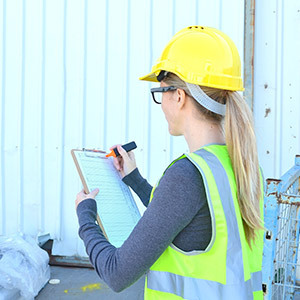 By requesting these additional Table A Items, the surveyor is only responsible for providing the needed information to allow others to make compliance determinations. The complexities of today’s zoning classifications, zoning laws and zoning codes created the need for zoning companies within the commercial real estate industry that provide zoning reports and letters. It is true that fifteen years ago surveyors would research and report zoning information as a part of providing an ALTA Survey. That is no longer the accepted protocol and if transaction parties wish to review this information, they should reference the expertise of a national zoning company, such as Bock & Clark Zoning, to gather and provide the data. Please visit Bock and Clark’s website at www.bockandclark.com for a complete listing and explanation of the services our zoning division can provide. 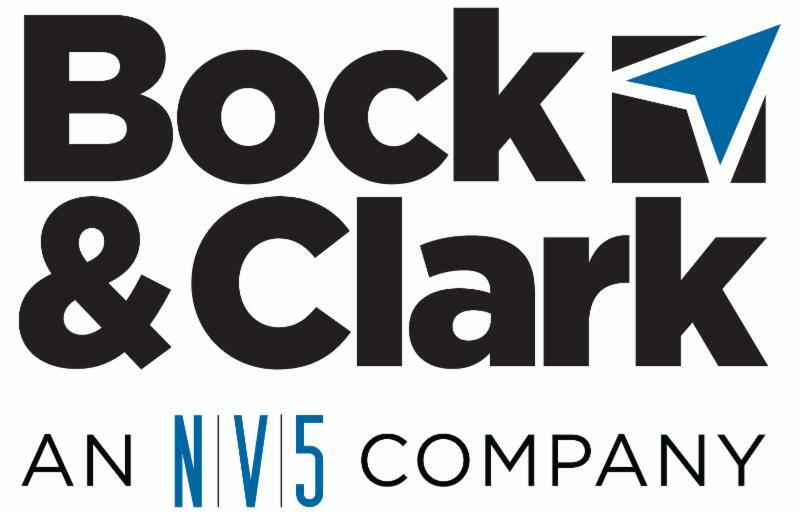 As we continue to develop the synergy between Bock & Clark and our colleagues at NV5, we have decided to update our look. Over the course of the next few months our branding will change slightly with the inclusion of “NV5 blue” in our logo as presented in this publication. Our commitment to quality commercial due diligence reports and exemplary customer service holds true but we hope to convey an even broader scope of services to our clients through our partnership with the team at NV5. Contact us for more details or visit www.bockandclark.com or www.nv5.com for more information. Congratulations to Mid-Atlantic Regional Director, Peggy Henderson, for being selected to participate in CREW Atlanta’s Leadership program. Director of Marketing, Laura Hengle, will be attending the CREW Network Leadership Summit being held February 1-2 in Tucson, AZ. Stop by to meet Director, Jim Brown, at the upcoming MBA CREF/Multifamily Housing Conference being held in San Diego February 11th – 14th. Drop in your business card at booth #417 for a chance to win a $250 Amazon Gift Card. Bock & Clark is a sponsor of the Bisnow Healthcare South event being held on February 27th in Houston, TX. Stop by our table to meet our new South Regional Director, Scott Kardos.